Arkansas, Vienna, 1930's, public policy, Fayetteville, little known people in history, Sen. Fulbright, Birch Bay, and German immigration. Certainly, the blog is eclectic (at best). 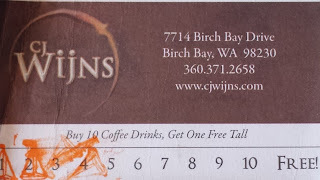 The quality of life in Birch Bay was diminished a couple of years ago when a bankruptcy caused the closure of two Birch Bay Drive year-round eating establishments: C.J. 's Beach House and CJ Wijns. The Beach House served, in my experience, the best food in Birch Bay. It was a great place to take visitors. Wijns (however you pronounced it) was a good place to get some coffee, lunch, and/or wine in a comfortable atmosphere and at a reasonable cost. Fortunately, eating options have improved greatly in Birch Bay during the past few months with the re-opening of the Beach House, now owned by Jack Niemann, a successful local restaurateur, and the opening of two other restaurants to replace ones that closed: the Via Birch Bay Cafe and Bistro (the only eating place on the Ocean side of Birch Bay Drive) and Vonna's Purple Fin Restaurant. The Via filled a building that had been empty for quite a while after the Blue Fish Restaurant closed down, and it seemed to do a healthy business this summer. It had a major setback last Winter when a blustery storm brought waves that crashed through windows and flooded the place, but it has bounced back well. The Purple Fin, located near the C Shop on Anderson Road, filled a space that had been occupied for a couple of years by Dee's Country Diner. I ate at the Purple Fin in June with six other people who ordered a variety of fish and meat dishes, and we are all pleased with our meals. 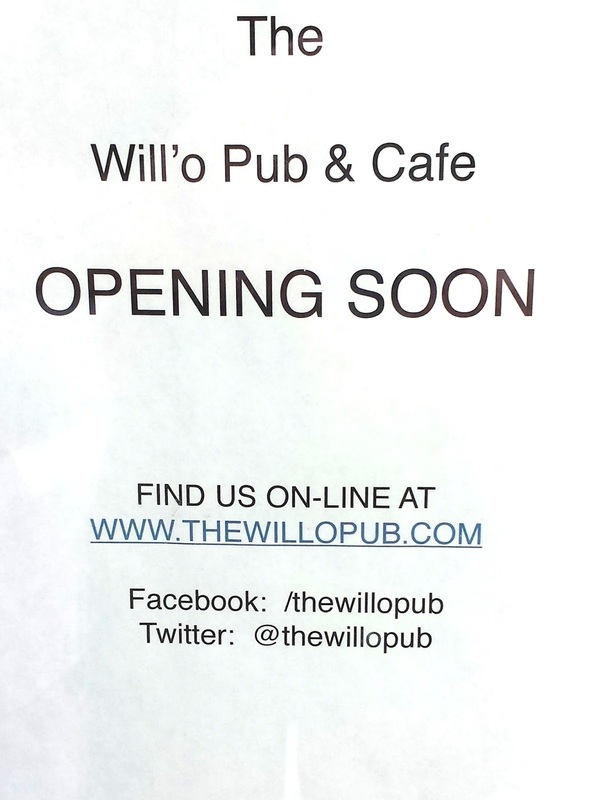 A sign in the window of the space that housed Wijns announces the pending arrival of The Will O Pub and Cafe. 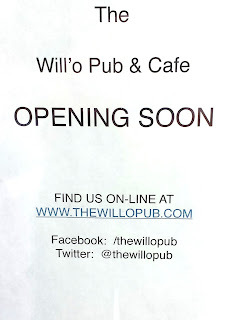 The new establishment has a Facebook page ( https://www.facebook.com/Thewillopub ) charting the progress of opening the new business. It appears that it should occur any day now, pending final inspections and permits. 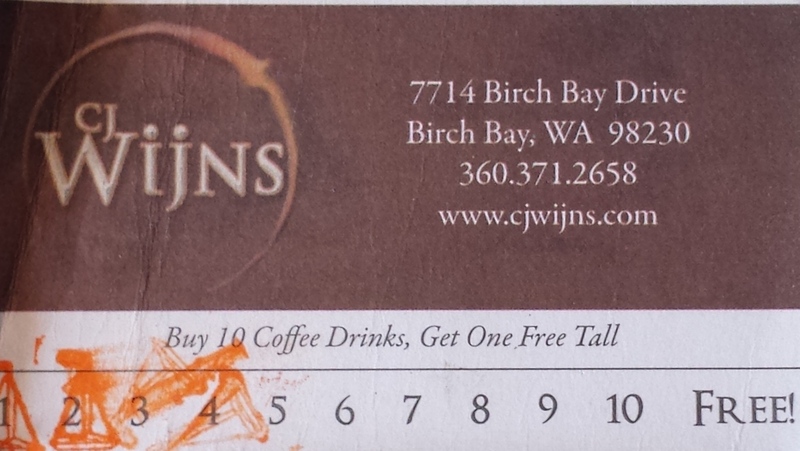 I wish these new places, as well as those Birch Bay restaurants and cafes that survived the Great Recession, well. Birch Bay offers significant challenges to such businesses, mainly because the busy days of summer are followed by many days when Birch Bay attracts few visitors (there is a reason the C Shop stops daily operations after Labor Day). Nevertheless, with a growing number of full-time residents in the area, a revival of the housing market, and rising prosperity, the local economy is likely going to be much better in the coming months than it has been during the last few off-seasons. If so, we can expect all of these newly opened establishments to be ready to welcome the flood of visitors starting in Spring 2014. Eden's Berlin Saloons: What Was Going On in 1966? Grew up in Fayetteville, AR. Student at Fayetteville; Vienna, Austria; and Berkeley, CA. Faculty member at Durham N.C. and Athens, Georgia. Professional interest: public policy analysis. Personal interests: history, travel, and international affairs.